Celebrated on the Tuesday following Thanksgiving and widely recognized shopping events Black Friday and Cyber Monday, #GivingTuesday kicks off the charitable season, when many focus on their holiday and end-of-year giving. The Rehab of a “Transition House” on East State Street, Murfreesboro, to become the permanent home for Future Homeowner Candace! Donate NOW to Giving Tuesday! The 2018 Giving Tuesday campaign for Rutherford County Area Habitat for Humanity is to raise funds to rehab an old “transition house” on East State Street in Murfreesboro for Future Homeowner Candace. The transition house has been used for 10 years as a place where Habitat partner families can live as they await the completion of their new home. It symbolizes great memories and anticipation for those many families. The house is in need of repair, new siding, new kitchen cabinets and countertops, fresh paint and some utility and appliance upgrades. The yard needs brush and tree removal and demolition of an exterior building. The total cost of the rehab is $25,000. Funds raised during Giving Tuesday will go towards those costs. We will also match them with grant money as needed. Future homeowner Candace is not your typical Habitat Future Homeowner. She’s 61 years “young” and her children have grown. But her determination to own her own home and the story of her journey is fascinating and inspiring to all. Candace is a true “survivor” in every sense of the word! 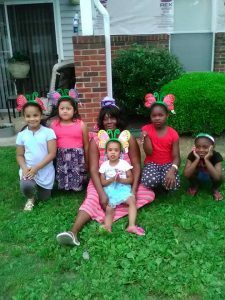 She’s had six heart attacks, a divorce, raised her kids as a single mother, has bought and then lost a home and didn’t make it through the Habitat Future Homeowners program the first time around. Her determination, drive and faith in God got her through all of those obstacles. 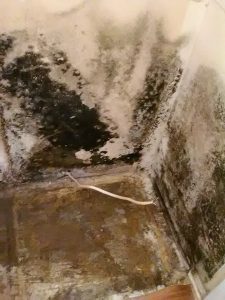 Candace has lived in the same apartment for 10 years, dealing with black mold, water leaks and other sub-standard housing issues as well as crime in the neighborhood. She’s been known to stand up to drug dealers and other criminals, especially if they want to get close to the children. She fears that they’ll come after her. She vowed to one day have her own house again. 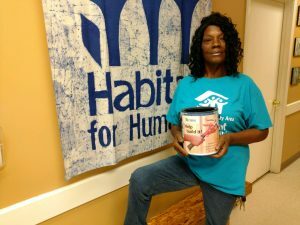 Having tied to complete the Habitat Homeowner Education program and meet her financial goals in the past, Candace has new determination and is working diligently to complete the program and be ready to build her house in the spring of 2019. She currently works as a janitor at a Goodwill. Candace has been living in an apartment that has mold and other health issues, as well as a lot of crime in the neighborhood. 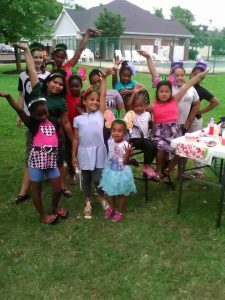 Candace has always worked with the kids in her neighborhood and started a “Kids Club” for them. Candace is very protective of the children against the influences of crime and bad behavior. 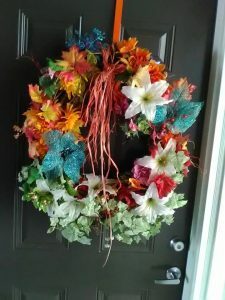 Candace loves decorating and makes her own flower arrangements and wreaths. She can’t wait to decorate her new home!